Sunlight is a basic requirement for all birds and it is easy to see the positive effect that the sun has on the health and well being of our pigeons. On sunny days the birds look so much brighter and more alert than on overcast or wet days when the birds look depressed and disinterested. Security and rest at night The special attention that is given to providing the pigeons with a loft that promotes complete rest at night will reward the fancier with a healthier flock and more consistent race results. 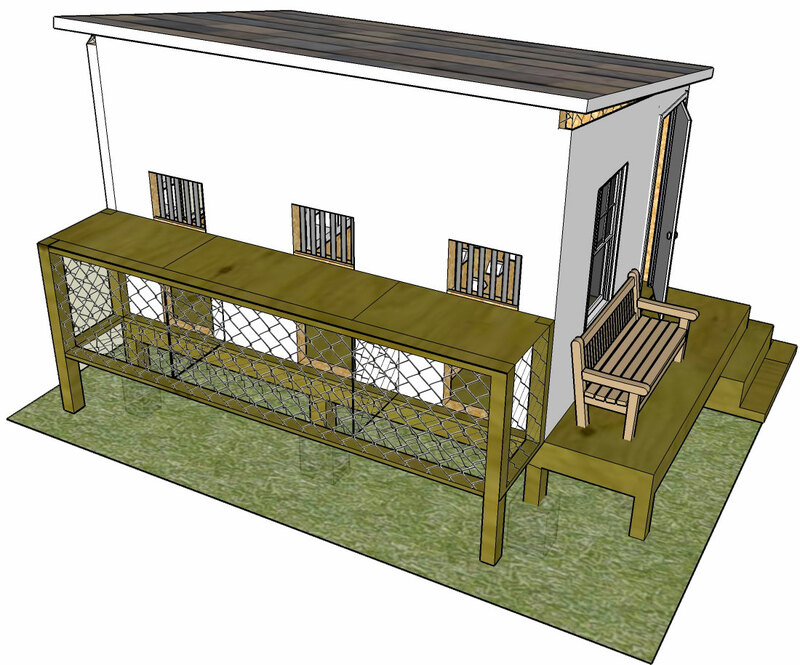 Both the breeding and race lofts must protect the birds from moisture, temperature extremes, too little or too much air movement, predators, noise, fumes, light and other disturbances, so that the birds can rest, especially at night. Proper rest is a major pre-requisite for continuing pigeon health and race performance. Insulation is the first step to controlling fluctuating temperatures and high humidity inside the loft. It is the moisture drops of condensation appearing on the inside of uninsulated walls and ceilings that increase the humidity inside the loft to the very high levels that predispose the race birds to restlessness and respiratory illnesses. The insulation of the walls and ceiling will stop this condensation and allow you to control respiratory diseases with the minimal use of medicines. In high humidity areas, shutting the loft up at night or when it is raining is a good method of controlling the humidity inside the loft (louvres are commonly used), but the air circulation and the air quality inside the loft must not be compromised. Too often the loft is completely shut up with no thought about air circulation. The resulting stale loft makes the race birds lethargic due to lack of oxygen. Heaters at night are beneficial for the race team. The healthy team remains in top form when the loft is closed at night by keeping it warm and dry. However, it is better to have a very open loft in flocks recovering from respiratory disease to prevent the “respiratory” germs accumulating inside the loft from re-infecting the race birds. Pigeons love a clean loft and rest better when the perches and floor are cleaned free of droppings. Sand on the floor looks good, but is not recommended during the cold months of the racing season. At this time the birds may suddenly over-engorge on it and lose form because of the resulting “gut ache”. Pigeons love to lie down on straw but it must be perfectly fresh, clean and be free of dust or moisture. Black marks and a musty smell to the straw indicates mould on the straw, which can damage the pigeons airsacs when inhaled. 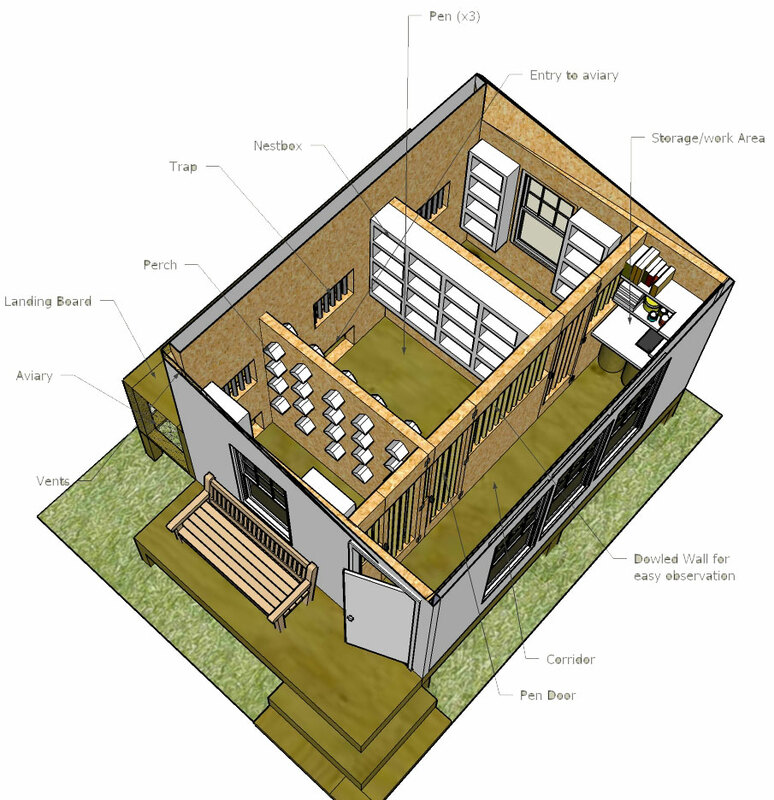 Get 12,000 different plans and blueprints for building a loft. 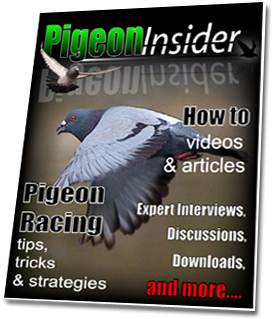 This article, courtesy of Pigeon Insider. See above for more insider. Pigeons and doves like most pets need attention. You might want to consider the time these feathered friends are going to consume. Racing pigeons need care every day. If you go on vacation, someone will have to look in on them for you. If you only keep a few, say less than 10, you could be gone several days by simply filling their water and feed to last those few days. Being able to build your own loft will save you lots of money. If you have a carpenter friend who is willing to help you will also be a benefit. Some may just have to pay someone to build their loft for them. You will also need to build perches for the birds to sit on, nests boxes for them to breed in, feed trays, doors, and walls. All of these items can be purchased from suppliers. Your loft should have sections inside to separate the birds. If you do not separate the males from females you will end up with pigeons coming out of your ears. This can happen before you even realize its going on. I have walked out to my loft and been slapped in the face by the realization that I have alot of birds. If you only have one section then you could take the eggs away from them as they lay. This is not healthy for the hens to be always laying eggs, so if you can, build a wall between the sexes. This wall could be just a wire fence or a solid barrier.